Today we bring some more news regarding tickets for the HWBOT World Tour tickets, this time announcing the availability of tickets for the OCWC Montreal 2017 contest that’s happening at DreamHack 2017 next month. The HWBOT World Tour rolls in to town for DreamHack Montreal, one of the biggest tech shows in North America. 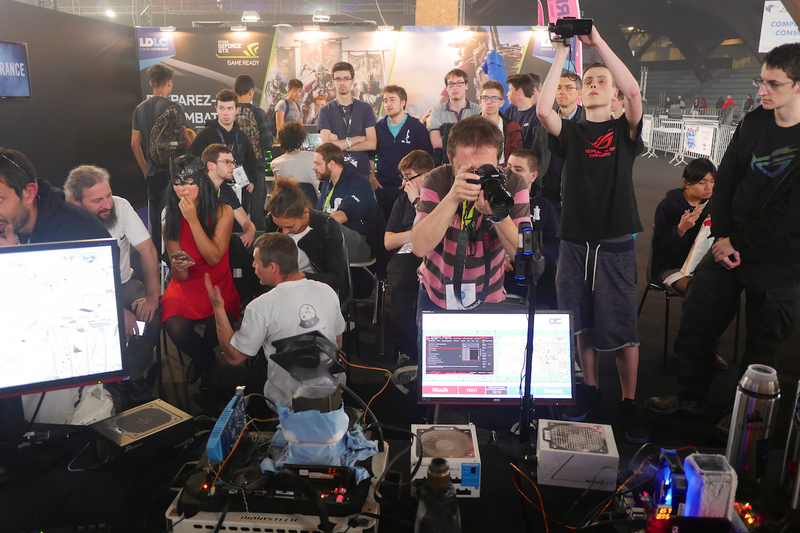 As with all HWBOT World events, the 2nd US leg will include OC workshops and an Ambient contests for DreamHack attendees, and crucially, an extreme overclocking contest in the form of the Overclocking Worlds Championship Montreal Qualifier contest. Win that baby, and you’re on your way to Berlin for the OCWC Final at the end of the year. To compete in the OCWC Montreal 2017 Qualifier contest you will first have to purchase a ticket. The ticket (available via this link) includes entry to the DreamHack, an opportunity to compete in the OCWC Montreal 2017 contest, plus access to the Overclockers Gathering and unlimited LN2. Although hardware prizes will be made public sometime in the next few weeks, the main prize for the winner is already known – a ticket to the World Championship Final at the end of the year and the opportunity to become HWBOT World Champion 2017. The OCWC Montreal 2017 contest will take place on September 5th and 6th. Tickets are limited. You can check out the Montreal 2017 tickets here at this Eventbrite page, plus the event page here on the HWBOT World Tour website where you can find more details about the event in general.